Every day we received several new firmware and software updates from Apple for its respective products i.e. iOS Firmwares, OS X Software’s, Apple TV Software’s and also its necessary to keep electronics products up to update with all new latest releases. Apple has now releases its latest Apple TV 6.0.1 Software Update (Build: 11B511d) for Apple TV 3G (3.1/3.2) and Apple TV 2G devices. The latest Apple TV 6.0.1 Update holds several new improvements, enhancement and fixes for Apple TV 3G/2G devices which provides stability and support to hardware so it’s a must update for users. 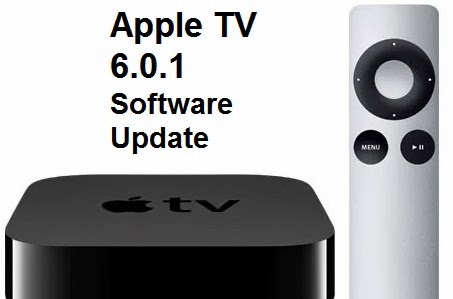 Official Direct Download Links of Apple TV 6.0.1 IPSW Software for Apple TV 3G (3.1/3.2) and Apple TV 2G is available below.